Updated Thursday July 12, 2018 by Walt Hartl. From: Cesar Markovic – Head Coach of Siena College Men’s team and LCSC Director of Coaching. In conjunction with the Latham Circle Soccer Club I am happy to announce the expansion of SAINTS F.C. This is Latham Circle Premier Program that will start from a grass-roots level and will draw upon its tremendous relationship with Siena College. We will be offering this program on the boys side for players born in 2006, 2007, 2008, 2009 and 2010. On the girls side we will be feilding a team for players born in 2008, 2009 and 2010. 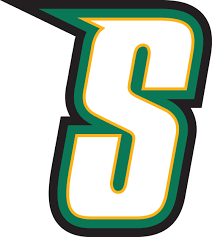 Latham Circle is proud to be affiliated with Siena College Athletics, it’s athletes and coaches. Coach of Siena College Men’s Soccer Cesar Markovic is heading up this great program and is creating something truly special. Our Siena Soccer Program prides itself on playing technically sound, and attractive soccer. This is the foundation for the formation of SAINTS F.C. Our players will be taught to play correctly. They will be completely involved with our Siena College Program. This relationship will be mutually beneficial to the development of young children into good soccer players and the development of young men and women on the Siena College Campus. This is a September- June Intensive program for kids interested in year-round soccer. We will do Fall and Spring CDYSL and attend several tournaments. 2 trainings and 1 game all year. fees associated with participation including player travel, accomidations, and league registrations are not covered by the LCSC fees, they are seperate and the responsibility of the team. Please print, complete and bring the USYSA Medical release form to the evaluaiton.